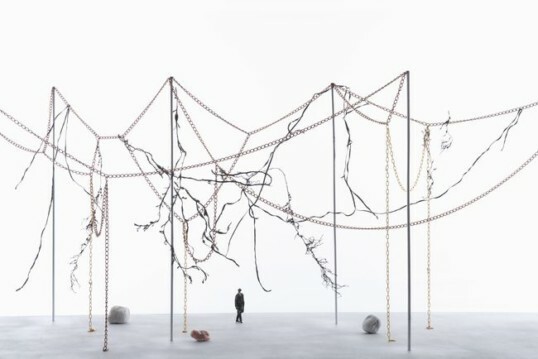 Home > Eventi > Rêveries Urbaines: Ronan & Erwan Bouroullec. Rêveries Urbaines: Ronan & Erwan Bouroullec. Following their exhibition »Album«, Ronan and Erwan Bouroullec return to the Vitra Campus in October 2016. With »Rêveries Urbaines«, the internationally renowned designers concentrate on public spaces for the first time. It is a wide-ranging study of possible development solutions for cities that may be imagined in very different urban settings. Like a large open sketchbook, the proposed solutions are presented as a gentle walk through models and animations. The aim is to give a new sense of magic to the places where we walk, meet, and talk. The installation not only presents a collection of abstract ideas, but points to some of the projects the designers are developing for several cities around the world. »Rêveries Urbaines« was first shown at Les Champs Libres in Rennes last summer as part of a comprehensive retrospective. The exhibition is complemented by guided tours and workshops.